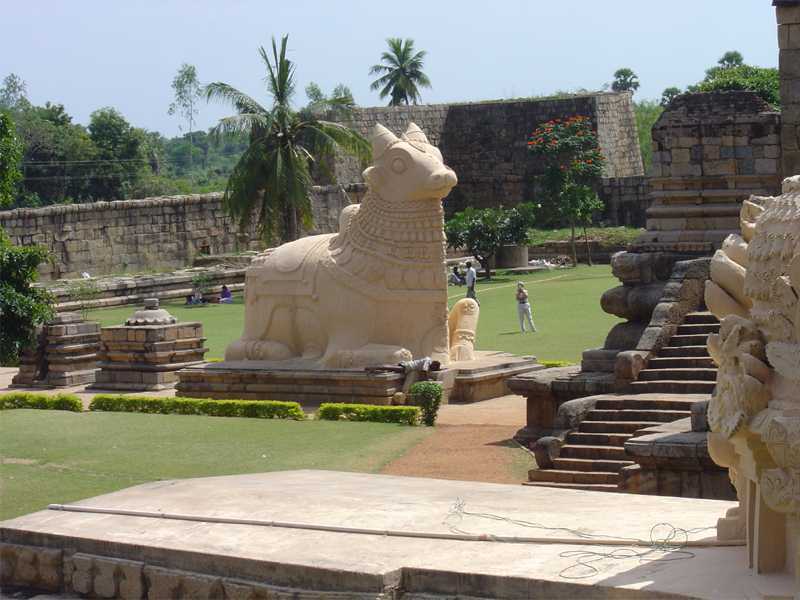 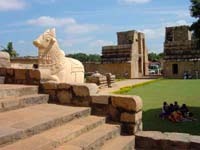 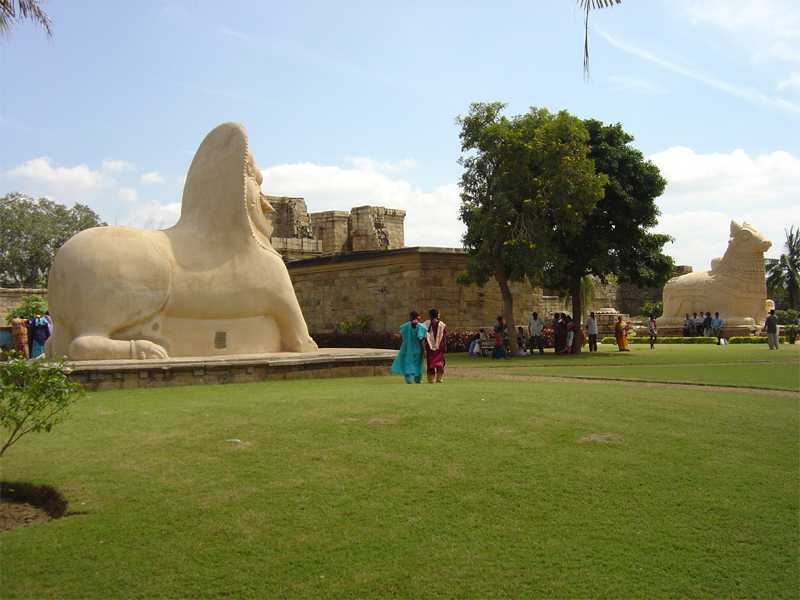 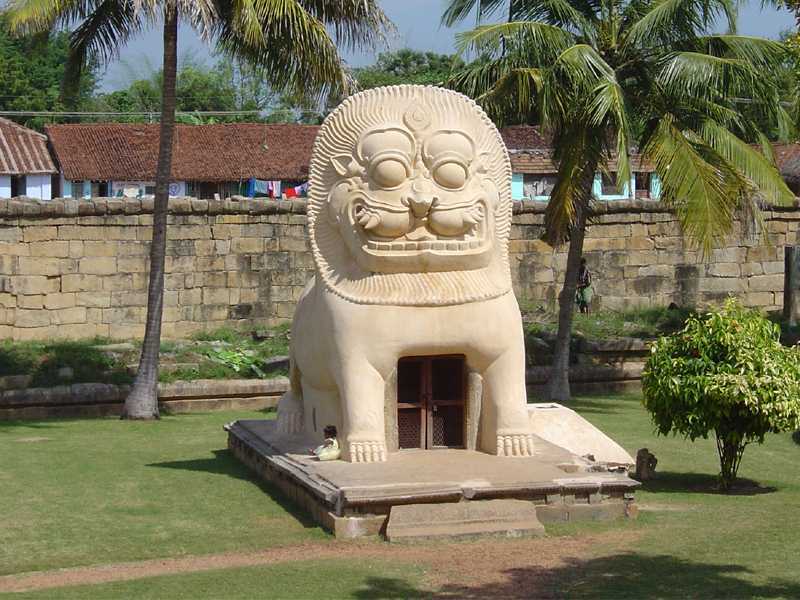 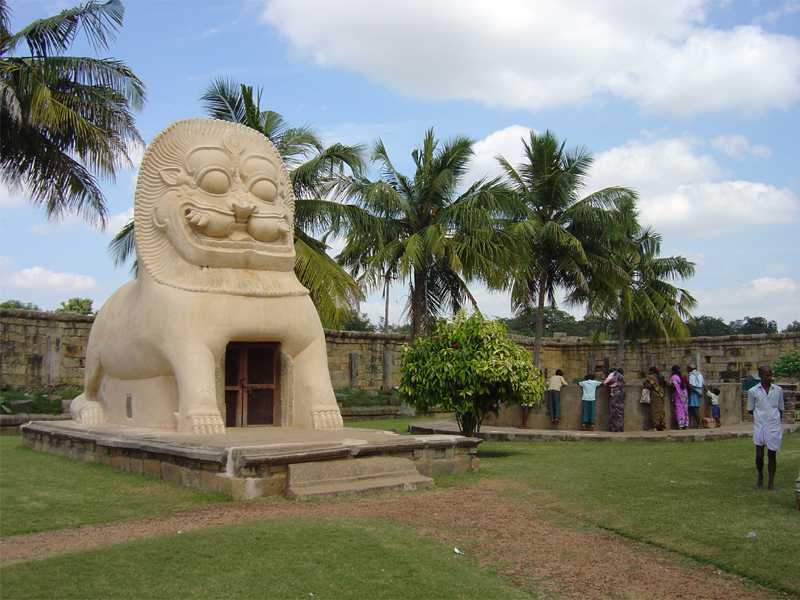 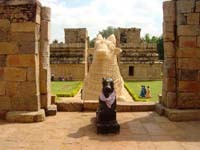 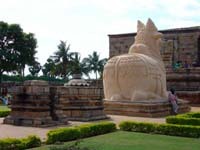 The Nandhi is located in open place facing the Brihadisvara (Shiva Linga). 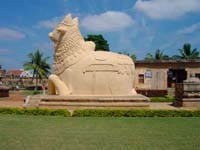 It is 15 feet in length, 8 feet breadth and 11 feet in height. 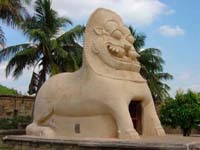 The Nandhi is constructed using bricks and lime. 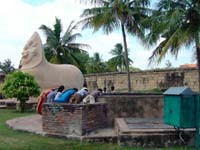 Once upon a time when Banasuran ruled this area, he was unable to reach river Ganges in order to take holy bath. 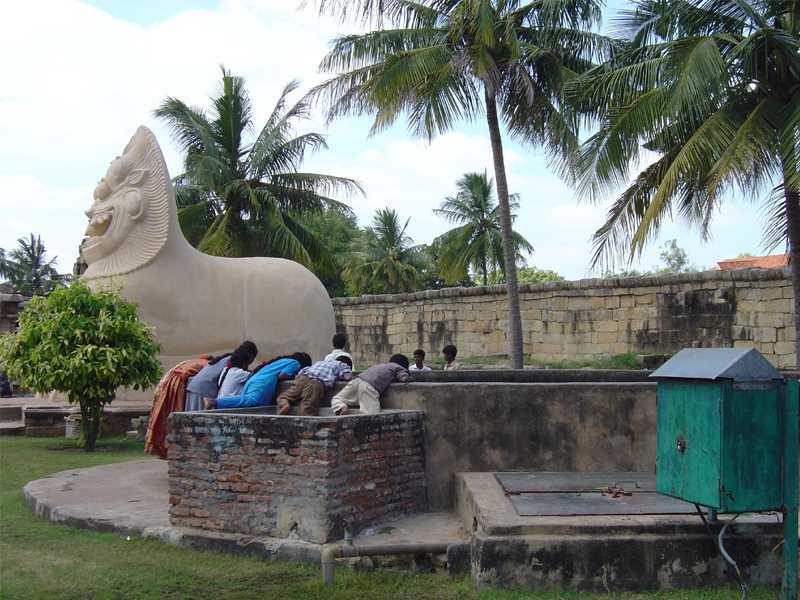 He requested and prayed the goddess Ganges to appear in this well. The majestic view of the Lion entrance and the well were Ganges appeared are connected, the holy water is fetched for Abhisegam for the deities.